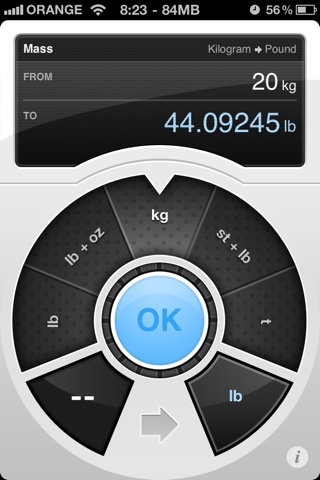 Convertbot — The Amazing Unit Converter is no doubt the coolest looking (and sounding) convert app out there, hands down. Just click on any one of the buttons and you'll immediately see both the cool animations and the great sounds as the app does its stuff. 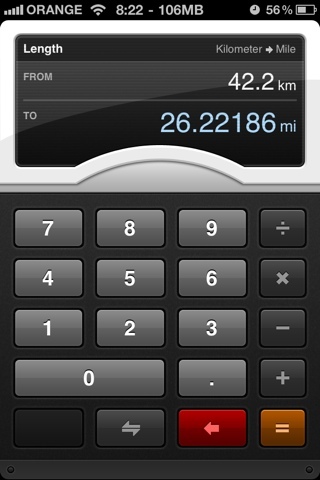 As for actual functionality, converting between different units is pretty standard: you choose what units you want to convert to/from and enter the amount. Pretty much all the converting applications out there offer that basic functionality, some are much more complicated than others, but they all pretty much have the same functionality. ConvertBot just makes it easy to do and it feels great to use it. That's why they can charge $1.99 for the app and still become a big hit. ConvertBot is a universal app so you can use it on both your iPhone and your iPad. 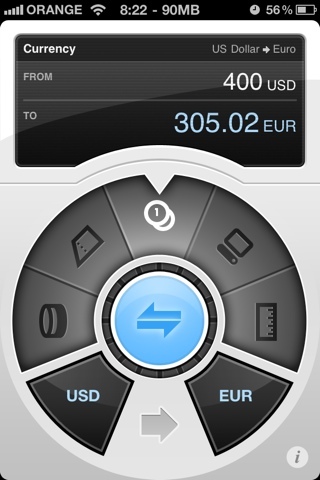 BTW: ConvertBot is made by Tapbots who are known for creating sleek/cool looking apps like TweetBot and CalcBot.